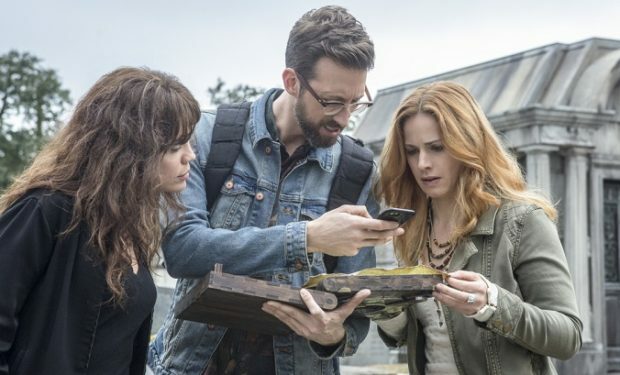 Who Is Pirate Treasure Hunter Michelle Faucheux on NCIS: New Orleans? In the NCIS: New Orleans episode “Treasure Hunt,” a Navy captain is murdered during the annual Contraband Days pirate festival. The captain, an oceanographer, was searching for a valuable 200-year-old marble and gold fleur-de-lis when she was found beaten and stabbed to death. The team works with a pirate treasure hunter Michelle Faucheux to solve the crime. Pirate treasure hunter Michelle Faucheux is portrayed by the actress Teal Wicks. Wicks is best known for her roles on Broadway — Elphaba in Wicked; Mary Barrie in Finding Neverland; Emma Carew in Jekyll & Hyde; Catherine in Pippin, among others. Wicks is currently starring in The Ballad of Little Jo. It’s inspired by the real-life story of Josephine Monaghan, an unwed mother who disguised herself as a man in the 1890s to start a new life in an Idaho mining town. See video below. NCIS: New Orleans airs Tuesdays at 10pm on CBS, right after Bull.